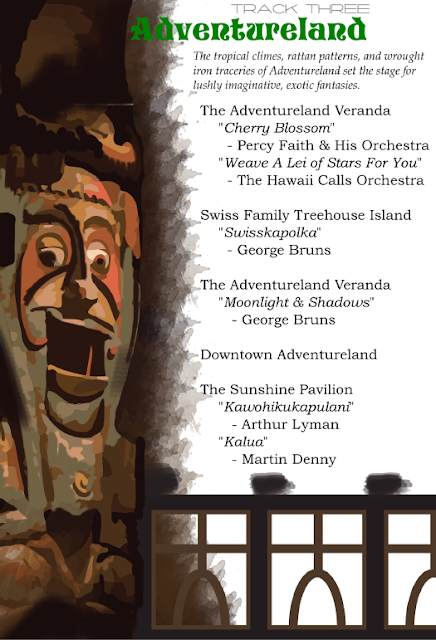 The Adventureland Veranda – “Cherry Blossom” – Percy Faith - this is one of Wagner’s most unique early BGM efforts. The version we have comes direct from a reel-to-reel magnetic tape owned by Mike Cozart which played in the park and is labeled “Adventureland Veranda August 1973”. Over the years various dupes and copies circulated on collector markets, eventually making the leap to digital in the new millennium. We have no concrete details on this loop other than that it is associated with the Adventureland Veranda, including dates that it played, why it was retired, or many of the albums it was sourced from, although I'll bet good money on it being from 1971. At least some of the tracks come from “Shangri-La”, by Percy Faith. The interesting tinkling wine chimes that bridge each track seem to have been added by Wagner. In my opinion, this piece typifies why early park BGM was so interesting. It is interesting, haunting, and completely effective despite being an extremely unlikely choice. Interestingly, this hour-long loop seems to only be half the story - it represents what played in the interior of the restaurant. The exterior seating areas had an entirely different loop! I was first made aware of this by Mike Cozart, who reported the existence of another hour-long loop associated with the Veranda which featured entirely different music selections with the sound of exotic bird calls mixed over the music. Without much to go on for this lead, I filed that away in the back of my head until last year, when I was combing through live audio recordings from 1983 sent to me by Dave McCormick. Several times during his trip, Dave and his friend stopped to sit at those verandas facing the Magic Kingdom hub, and faintly behind their conversation could be heard unfamiliar exotic music with bird calls mixed on top! Thanks to John Charles Watson on TikiCentral.Com forums we now know that the song captured by Dave in 1983 was "I'll Weave A Lei of Stars For You", from the Webley Edwards/Hawaii Calls Orchestra LP "Soft Hawaiian Guitars". Samples from this same record appears in later Wagner loops for Disneyland and Tokyo Disneyland. Adventureland had no formal BGM until the early 90s, when a loop matching one from TDL was installed, consisting entirely of a self-titled CD by Balafon Marimba Ensemble playing in its entirety. Prior to this, as one would pass the various features of Adventureland, she would hear individual music tracks from one side or another, echoing down from the Swiss Family Treehouse, etc. Adventureland has the first of many waterfall sounds included in this mix. Whenever possible I have recorded the actual water feature in the park and mixed it into the loop, however this is not always possible due to accessibility or removal. In cases like the Swiss Family Treehouse “Swisskapolka”, the actual waterfall sound makes a big difference in the listening experience. The second Adventureland Veranda track sampled is “Moonlight and Shadows”, recorded by George Bruns and the Hawaiian Strings, on a solo album entitled “Moonlight Time in Old Hawaii”. This is sourced direct from the LP, as part of a general late-seventies-era loop reconstructed by Michael Sweeney based on a live recording by Mike Lee in 1992. One reason why the loop may have changed was the arrival of Kikkoman as a sponsor in 1977: the 1973 loop was highly oriental-exotic in nature, and while Kikkoman is based in Japan, soy sauce was, at the time, mostly associated with “Luau” food. The “Kikkoman Loop”, featuring tracks by Bruns, Arthur Lyman, and Henry Mancini is true to this tradition. This is, of course, entirely speculative. Wagner may have whipped it up just because, although the date does tend to imply the occasion. The version of "Moonlight and Shadows" included in Version 2 comes direct from my copy of the Bruns record. 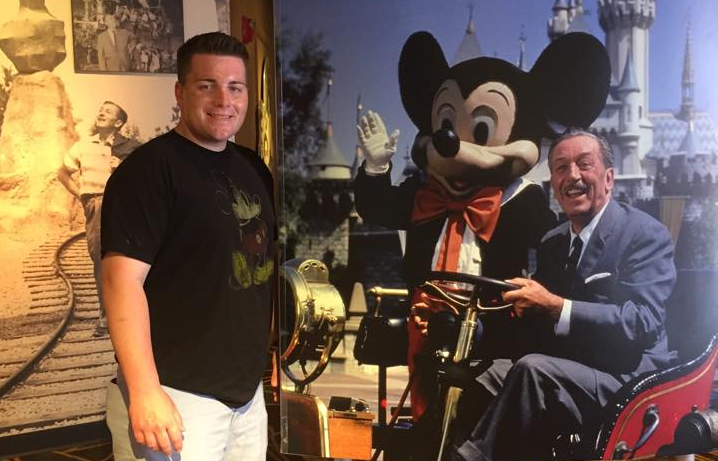 It was cleaned and restored by Chris Lyndon as part of his restoration of the record for his site DisneyChris.com. "Moonlight and Shadows" replaces "Blue Hawaii" from version 1 of this project. I intended to include another version of Blue Hawaii later in the project and decided to avoid repeat music as much as possible. The final part of the track re-builds the sounds of Adventureland’s “Downtown” area, directly in front of the Tiki Room. Many of these tracks have circulated online for years. 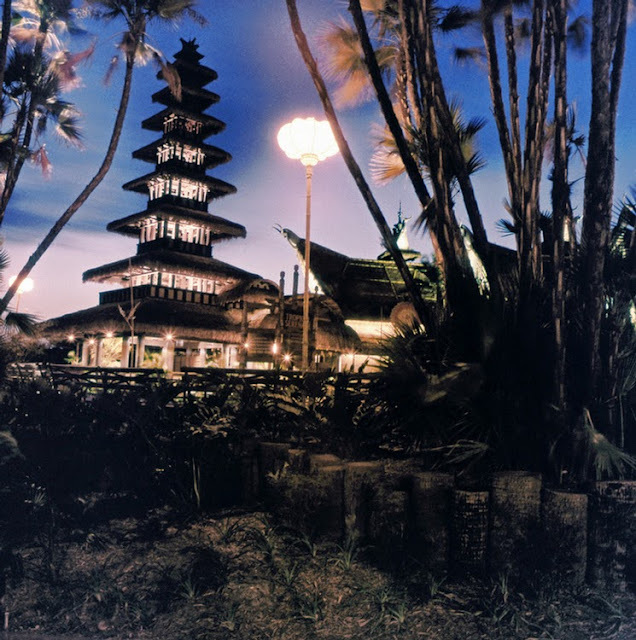 By the late 70s the “Drumming Tiki Gods” set piece had moved up out of the Jungle Cruise sunken courtyard towards the Tiki Room due to traffic congestion around the attraction. Wally Boag’s original tiki room barker bird spiel lasted until 1992, when he was supplanted by a bizarrely Jamaican-inflected bird who continued with the Tropical Serenade until the original show flew the coop in 1998. The barker bird figure has never returned. The music under this piece is what is believed to be the original Sunshine Pavilion loop. This loop was definitely in place by the mid and late 80s, and of course live recordings of park music are scarce before this time. It’s nearly always identified as the 1971 loop and probably comes to us via the same unnamed person who collected the Veranda, Mike Fink Keelboats, and Frontierland loops which circulate online with 1973 dates today. One other thing indicating an early date is its length – at 15 minutes - shortness is a characteristic of the early Wagner tracks, so there is a good deal of circumstantial evidence that this loop is original. Both tracks included here - "Kawohikukapulani" from Arthur Lyman's "Hawaiian Sunset" and "Kalua" from Martin Denny's "Primitiva" are sourced directly from their respective LP releases. The restoration of Magic Kingdom's Tiki Room to its original show in late 2011 allowed for a new Assisted Listening Device induction microphone capture of the Elanor Audley vocals which began the show from 1971 to 1998. This induction pickup was provided by an anonymous source and cleaned and balanced by Chris Lyndon. 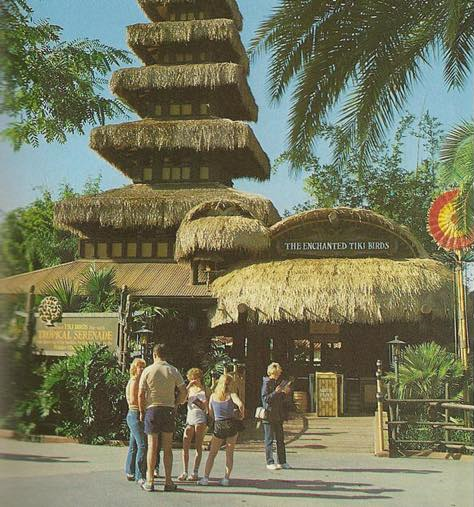 The track ends with the traditional Tiki Room “entrance drums”. These are an original Magic Kingdom element and were recorded for WED at the same time as the “Drumming Tiki Gods” just outside. 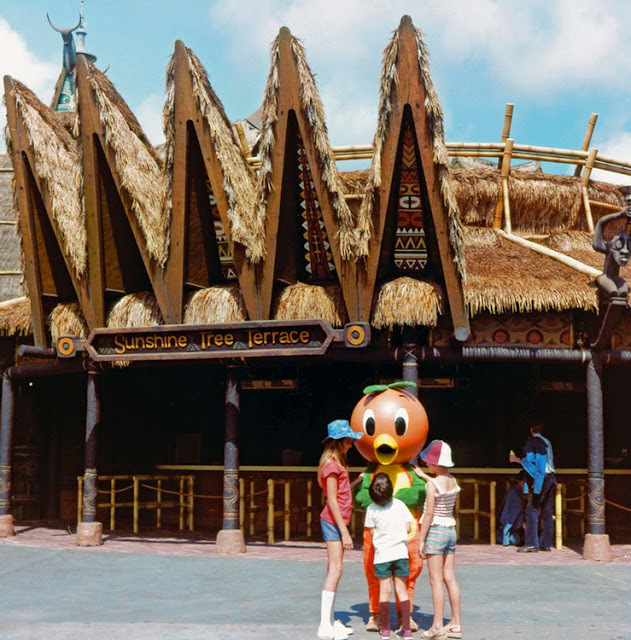 The track was probably imported to Disneyland in the mid-70s when their Enchanted Tiki Room was refurbished. 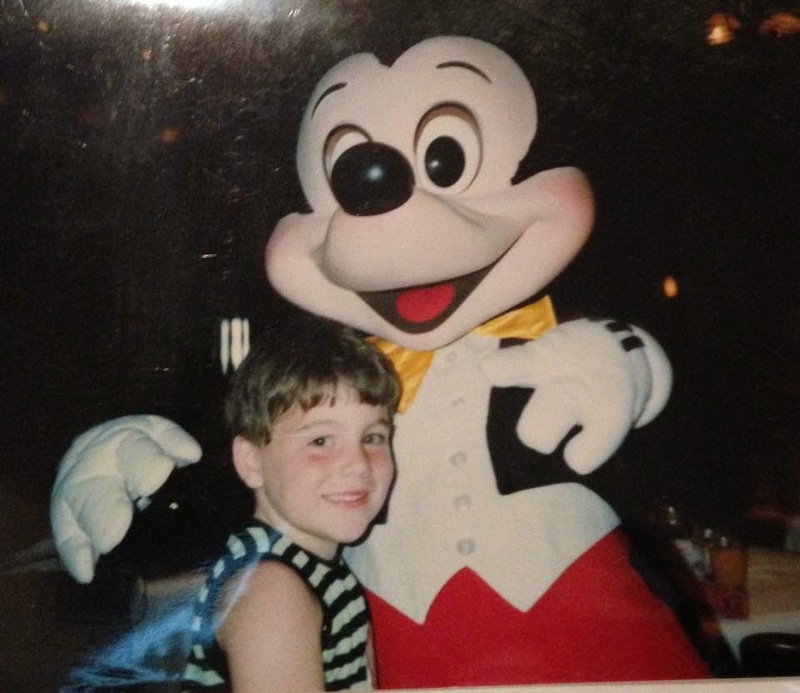 This version was recorded at Disneyland by “C33” and sourced from MouseBits.Com. It just keeps getting better and better! 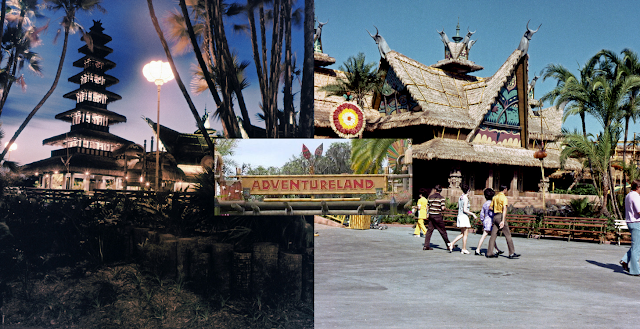 The Adventureland track has been added to the Disney Avenue Music Player so that you can enjoy it whenever you're in the mood to travel back to its early days. 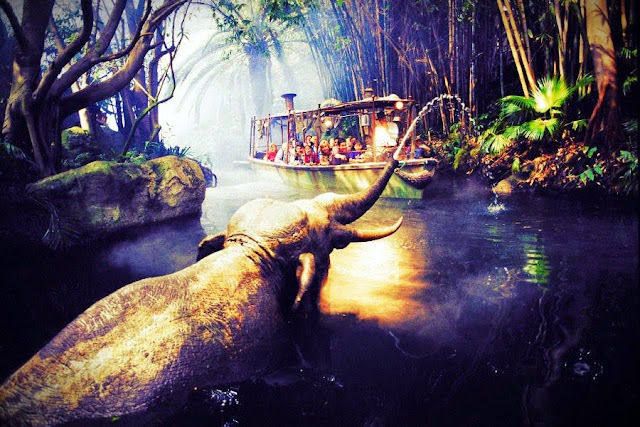 Be sure to tune back in tomorrow as we'll hear the sounds of vintage WDW's Jungle Cruise!